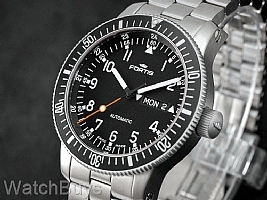 Fortis made its first space flight in 1994. The trip was to the Russian Space Station MIR, and the results were so positive that the decision was made to "launch" an Official Cosmonautis Collection. 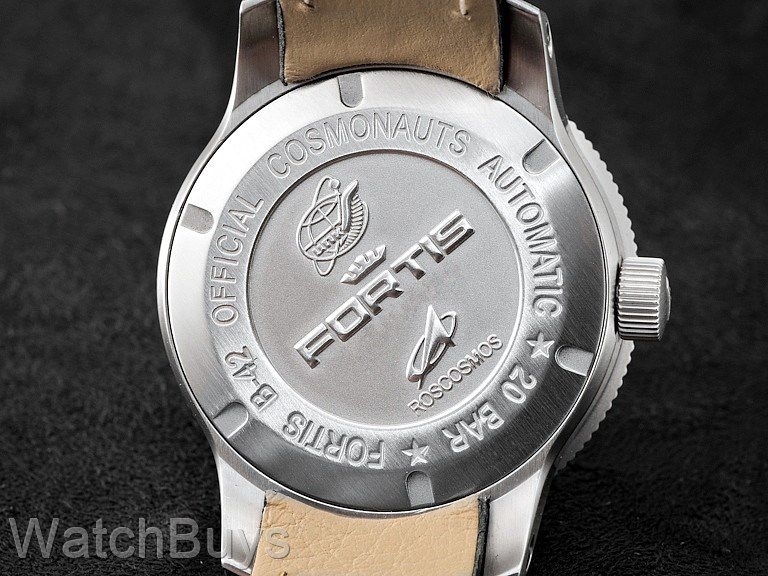 Fortis was chosen by ROSCOMOS, the official Russian Space Agency, because of their need for a mechanical watch with advanced development in materials technology, build quality and robustness required for space travel. To commemorate this honor, Fortis engraves the official emblem of the Russian Space Agency on the case back of every Cosmonautis watch. Also inscribed onto the case back is the insignia for the Yuri Gugarin Cosmonaut Training Center, where these watches are standard issue to this day. 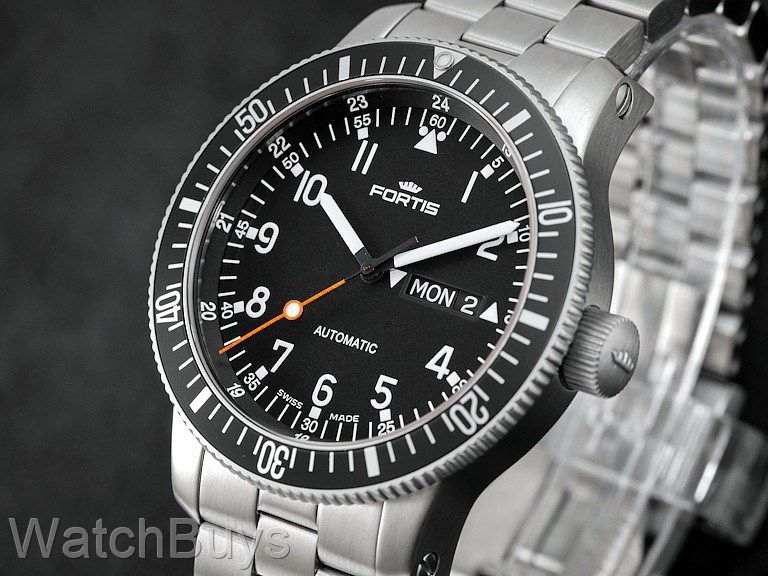 The Fortis Official Cosmonaut is housed in a 42 mm case with a matte black dial and contrasting white numerals and indices. The seconds hand is painted in orange for clear legibility. Notice the two white triangles on either side of the day/date display. These triangles are not decorative but actually indicate how to set the day and date. Using the second crown position, turn the crown clockwise to set the date and counter-clockwise to set the day. We're also impressed with the screwed case lugs, ensuring a secure fit at all times.